Free Shipping on all of our photo paper prints! 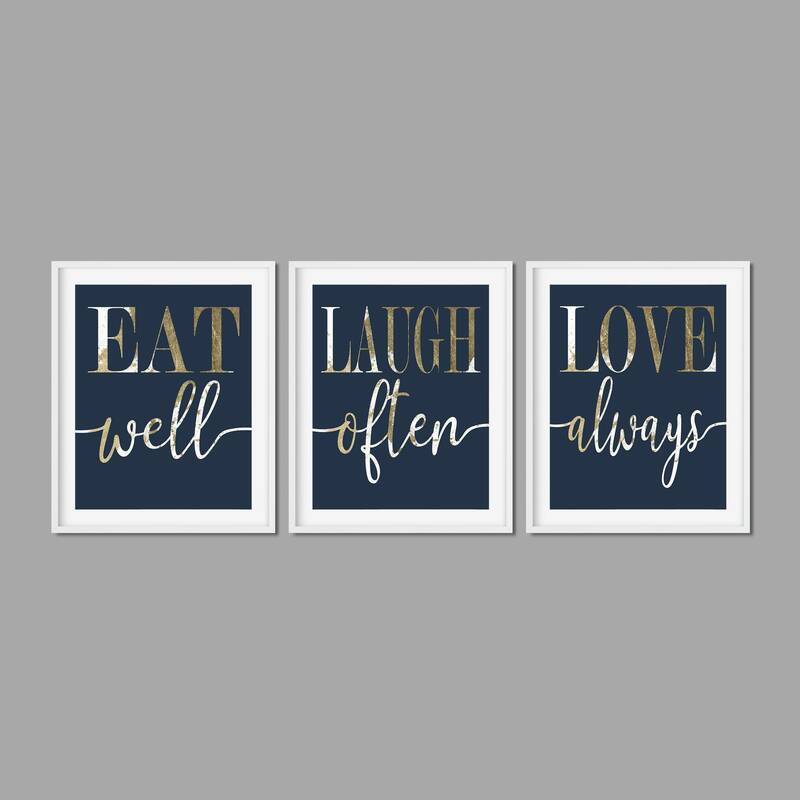 This Eat Well Laugh Often Love Always navy, gold, and white paper print set would be a great addition to your dinning room! Please use the drop down menu to select which wording you'd like for the middle print. Watermarks will not appear on your prints. Frames not included.